In a report 'Building Futures' published by the National Housing Federation it has described how last year (2011/12) Housing Associations throughout the country helped to improve the lives of over 8 million people with more than half a billion pounds of community investment. - £6 million was invested in IT centres (this was over 5 years). 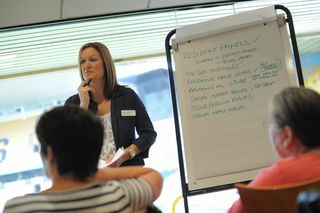 But they are not doing it alone - they are working with national and local government, charities and other organisations.